Gas stove problems won’t only frustrate you, but also compromise your safety. Any problem with this vital cooking appliance is a nuisance. When it comes to that, leave troubleshooting and stove repair West Orange services to us. The time of our response is speedy, especially when there is gas leak. 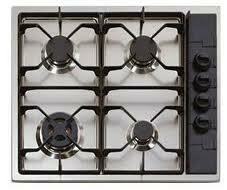 But we are equally responsive when you need assistance with any other stove issue in West Orange. This is a major kitchen appliance and our job at West Orange Appliance Repair is to see that it is fixed correctly. There are several types of stoves. Distinguished by their brand, type, model, and style, stoves do have variations in the way they work and are installed. And so our appliance experts are often updated with any new model and trained to provide effective stove repair. You can trust that we have plenty of experience with both ranges and cook tops. And we have the expert skills to service either gas or electric stoves. Need experts in stove installation? Our skills also extend to any stove installation too. Connecting a new stove is not easy. When the new appliance is gas powered, things get a bit tougher. So you should let us deal with such tasks too. We provide affordable services – whether they are installations or repairs. And our stove service is always effective since our techs are thorough, qualified, and focused on each detail. So each service is done by the book and attention to the stove’s specs. We guarantee fast response when you need stove repair in West Orange, New Jersey. But our tech never takes long to complete the service either. Once we find what’s wrong with the stove, we do what is necessary in order to fix it right. In most cases, we have to replace burned out parts. So we never travel without spares. We keep extra repair parts with us and install them to make the kitchen appliance functional and ensure it operates with safety. For proper service and expert pros, call our company.